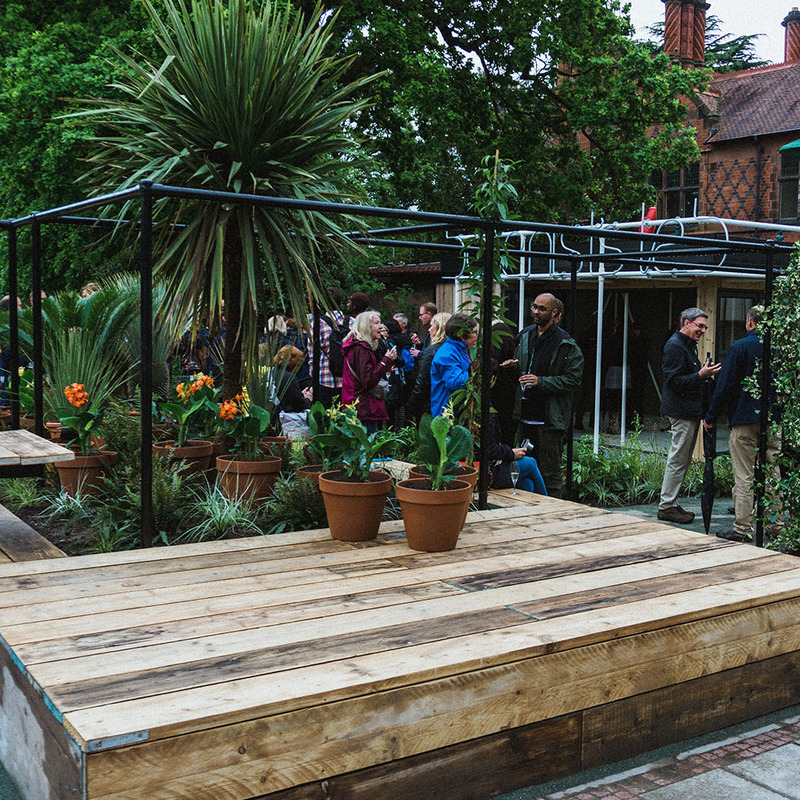 Landstruction was approached by Chester Zoo and asked if we could ‘Landstuct’ two Gardens and then design and ‘Landstruct’ another garden for this year’s Wild World’s Festival. 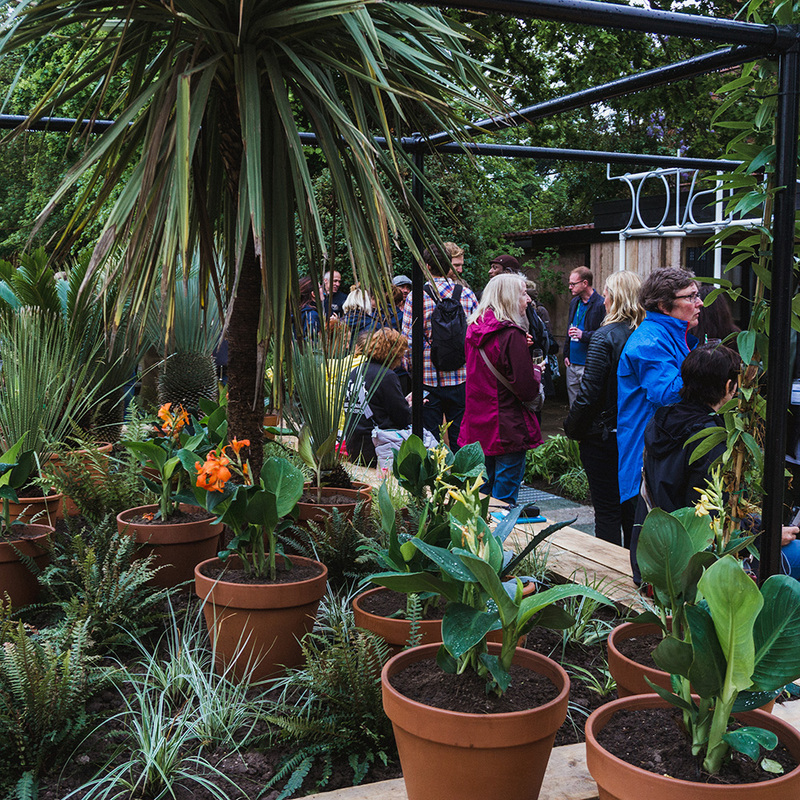 The festival has been inspired by the beautiful world of plants and animals at the zoo and is expected to attract 800,000 visitors over the summer! 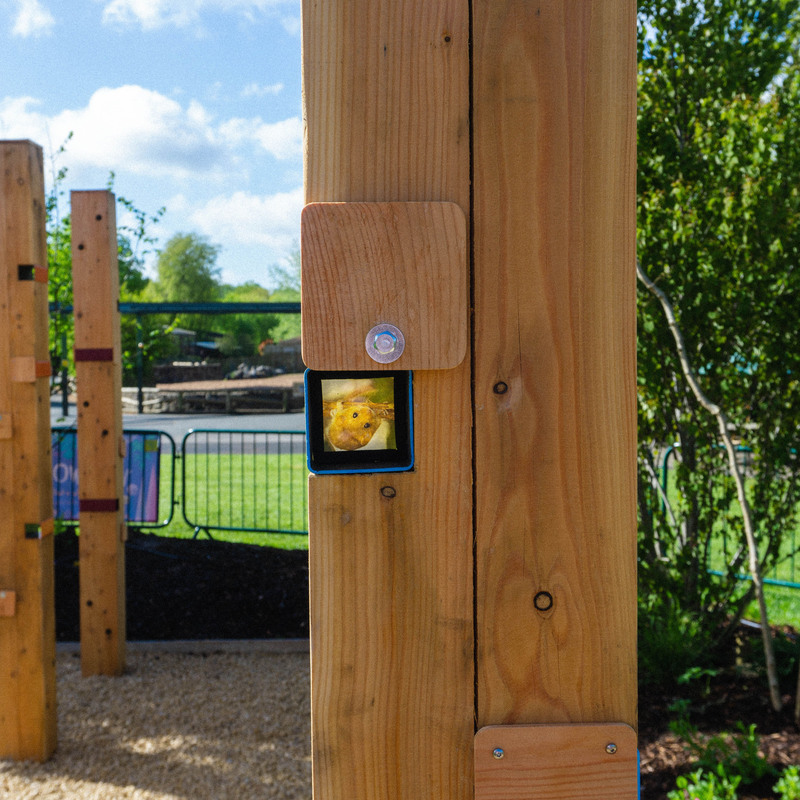 The Dormouse Garden – designed by Urban Wilderness – inspired by Chester Zoo and their work on Dormouse ecology and habitats. This garden comprises of a hazel grove under planted with a rich understory, including cyclamen, ferns, grasses and herbs. It contains a large structural ‘reveal’ that makes the landscape appear lifted. 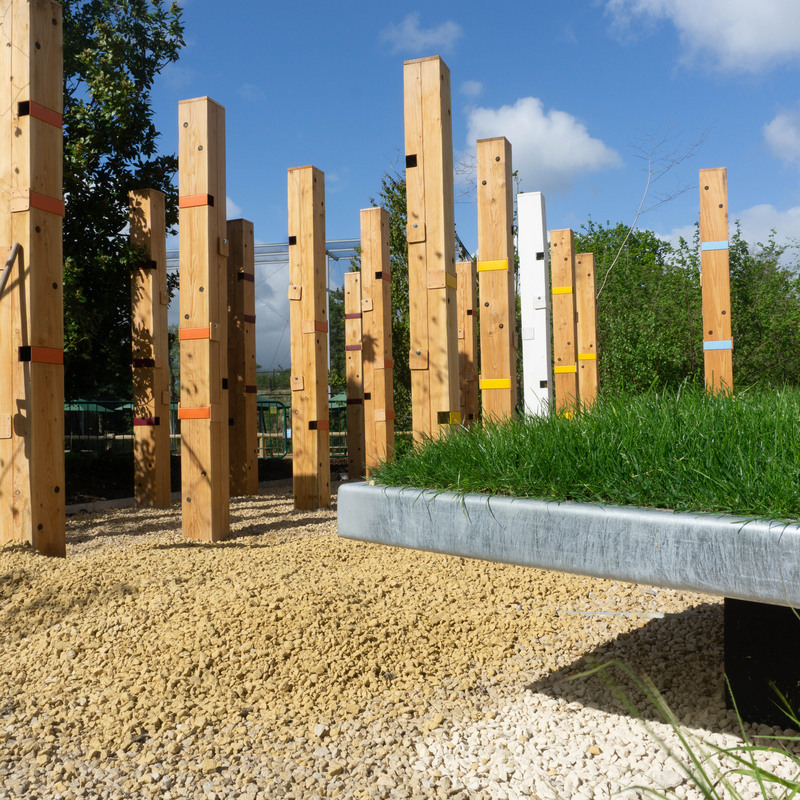 Set within this ‘reveal’ are 21 larch posts covered in Dormouse tubes representing the 21,000+ times the zoo has checked similar tubes in fields around Cheshire and Wales. The tubes are fitted with speakers – designed by OneFiveWest – which can be accessed through lifting a physical hatch. 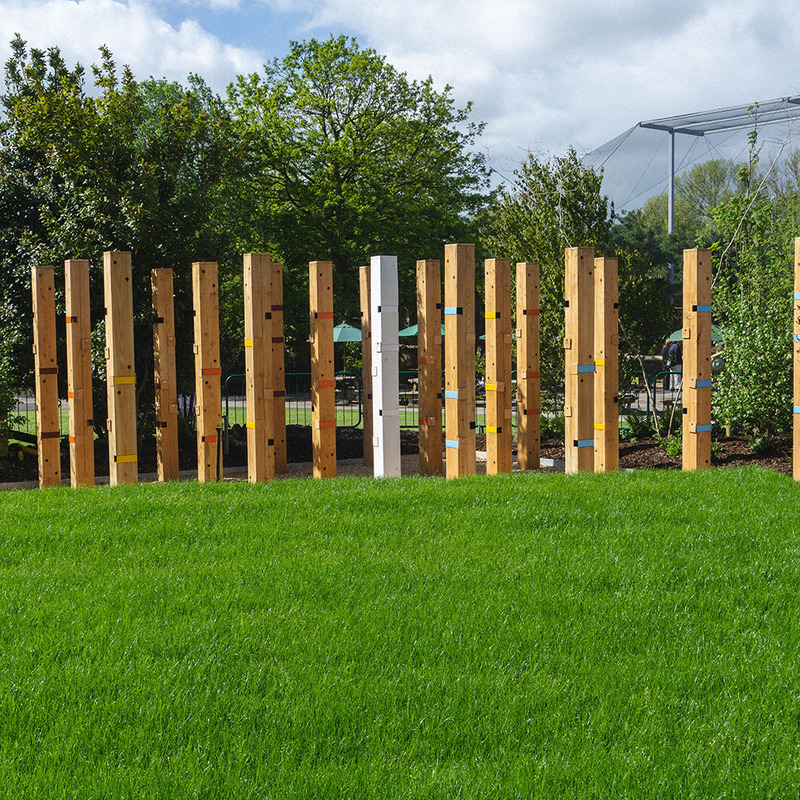 The speakers are placed at varying heights in the tubes to encourage collaboration between audience members to discover different recordings, and will allow for an immersive and playful experience that will engage children and adults alike. 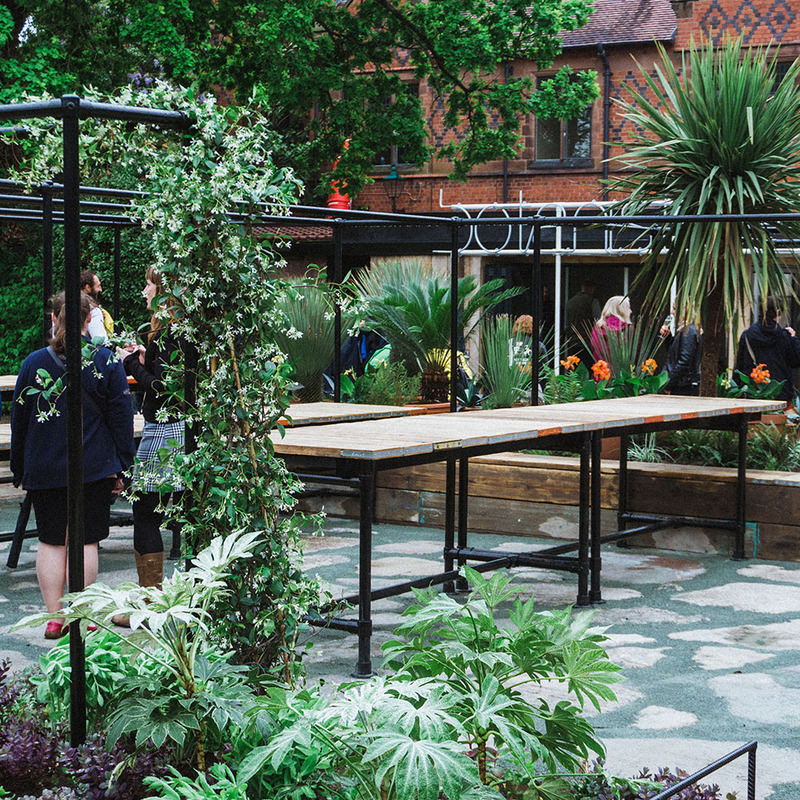 The Botanist Lab – designed by award winning Landscape Architect, Illustrator and Garden Designer Ula Marija . The Lab contains a student workshop and a research room. 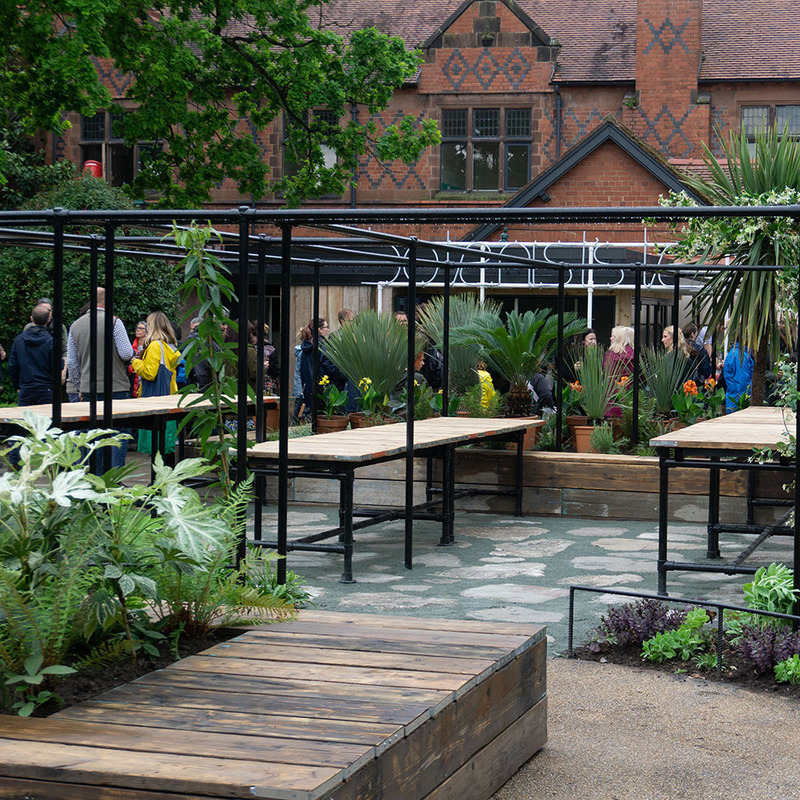 The Garden not only provides an educational space, but also provides an area for various events. The Landstruction team are looking forward to seeing visitors immerse themselves into the wild, exciting and educational experience. The Pheromone Zone – designed by our in-house Design and Construction Manager – is designed to put a magnifying glass on the world of pheromones and give an abstract interpretation of how pheromones affect the way we all interact. 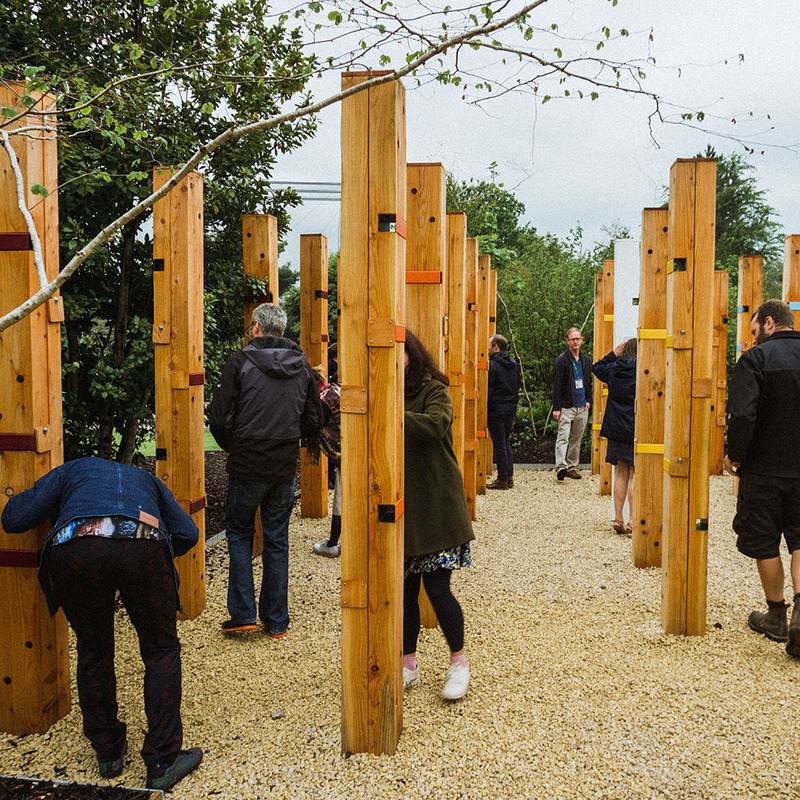 The garden fuels visitors’ imaginations providing an educational space that is exciting and inspirational to walk around and be in! 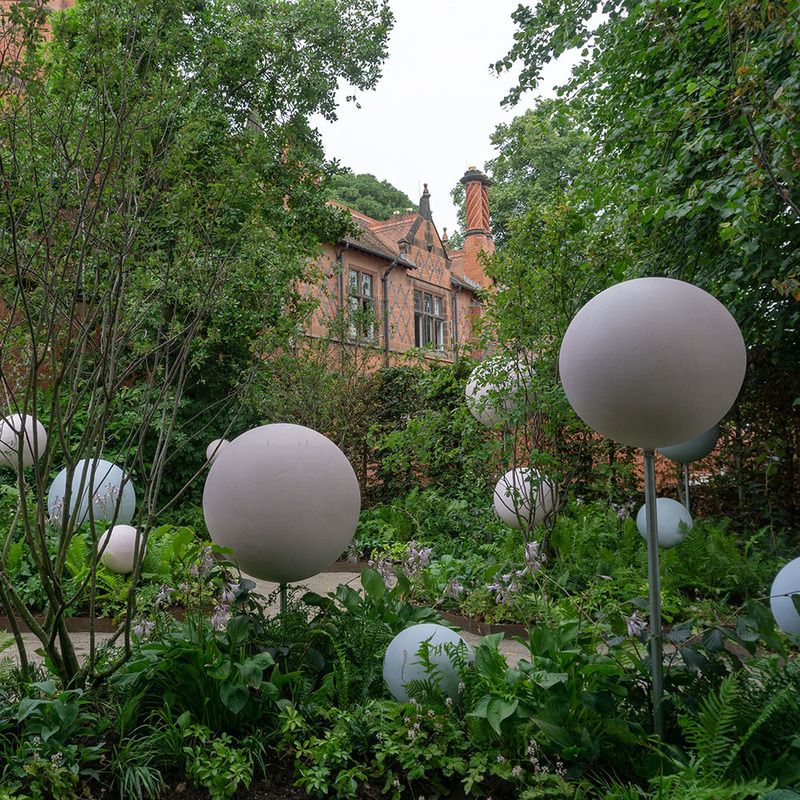 The garden’s aim is to grab visitor’s attention with our giant atom sculptures – which are 80cm in diameter and seen floating throughout the garden – visually representing how pheromones surround us and influence our daily lives. 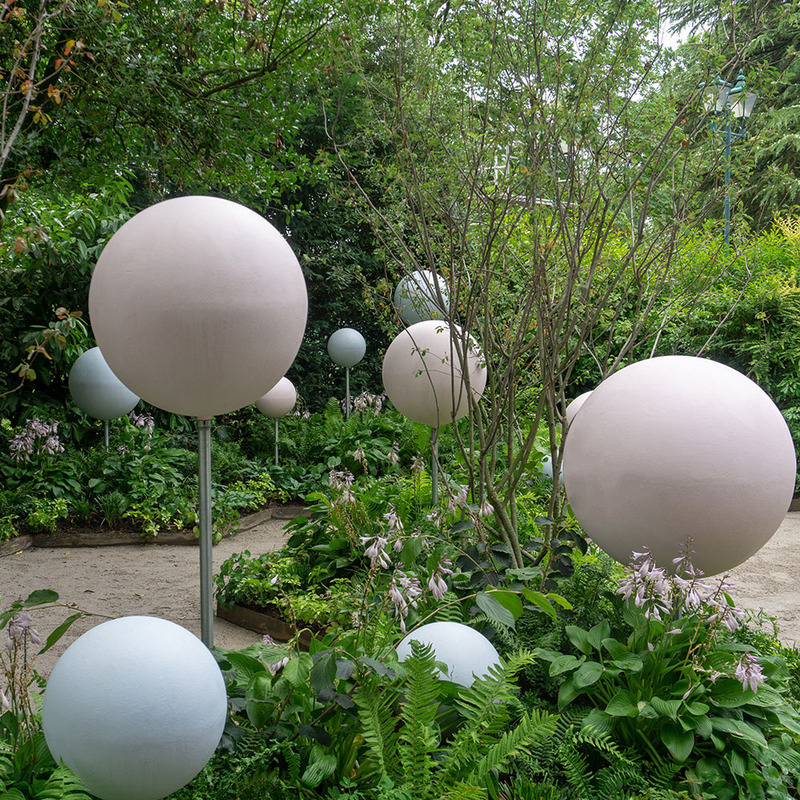 The sculptural elements are underplanted with ‘wildlife attractive’ species, that provide food and shelter for a variety of butterflies and insects. Within the planting there are information boards with lots of exciting facts about how Pheromones work.